2015 has been a great year for the Healthy Wealthy & Smart podcast! I redesigned the website, had some pretty amazing guests, have been downloaded in 80 countries, and had close to 90,000 downloads this year! A huge thank you goes out to everyone for downloading the podcast and listening to the episodes. I appreciate all of the support more than I can put into words….all I can say is THANK YOU!!! 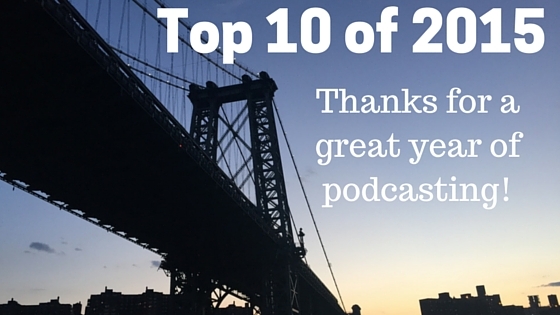 Please enjoy the top 10 podcasts of 2015 (in no particular order)! I have learned so much from all of my guests and I view this podcast as being one of the greatest educations of my life. I am so looking forward to what 2016 brings as I know it will be filled with more great conversations, stellar guests and fun collaborations! I wish you all the happiest and healthiest new year!